6.1 acres comprised of three Tax parcels, including a .65 acre vacant waterfront parcel with 238' of beach frontage. 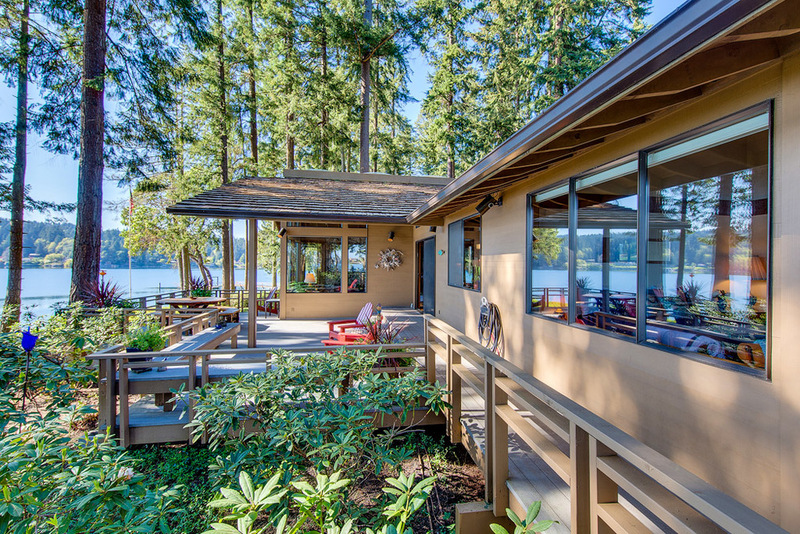 Total beachfront encompasses 515' contiguous feet of gorgeous and serene Miller Bay beachfront. Epic and inspirational view of Mt. Rainier and a peek at the Seattle skyline! Large dock w/ float and boat house. Southern and western exposure. 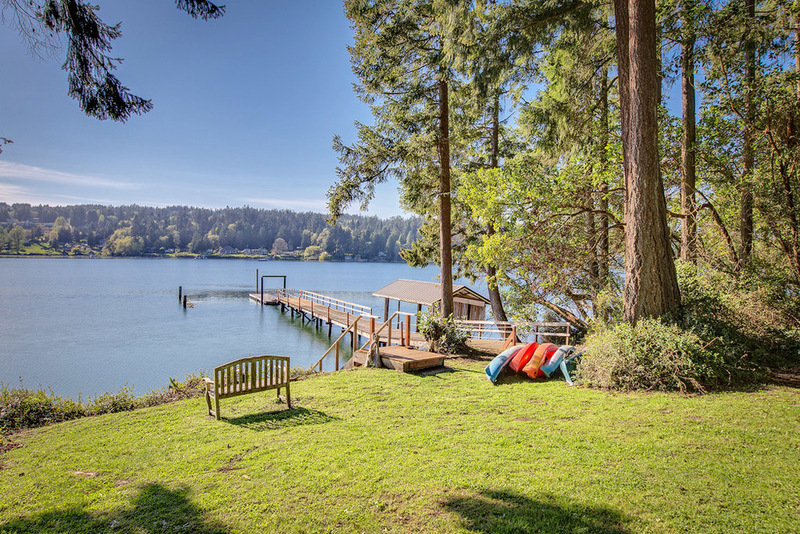 This property is located on the south end of Miller Bay, just north of the famous Indianola sand spit where a "who's who" of major Seattle titans of industry and successful families own beautiful vacation homes and moor their yachts. 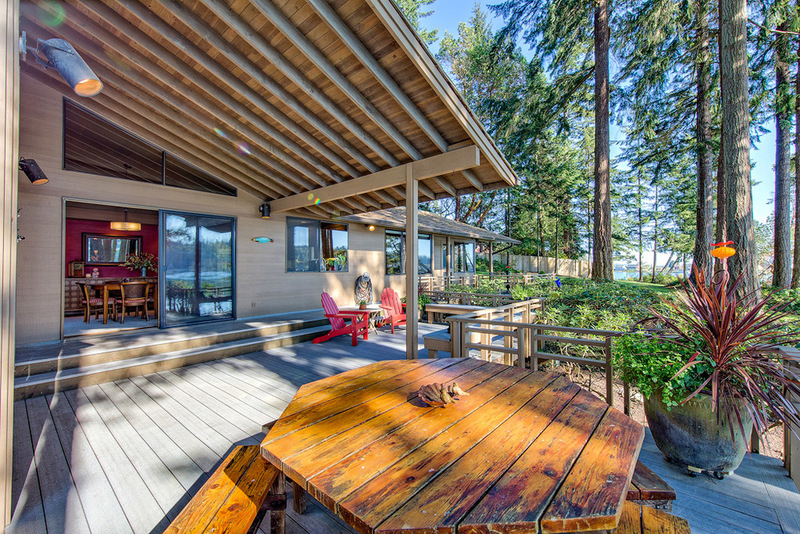 The property is only 20-30 minutes from both ferries but you feel like you are a world away. 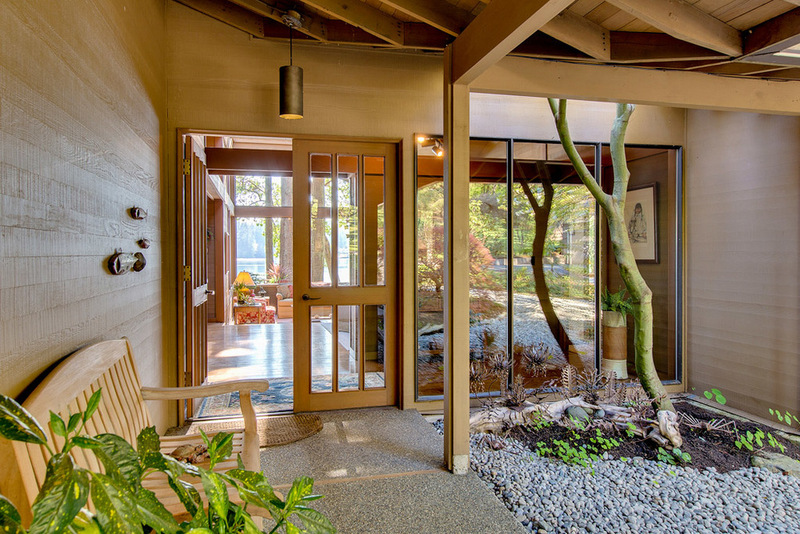 As you descend down the driveway through verdant evergreens, alders and maples, and natural NW foliage including old growth sword ferns, your own Spring fed pond complete with Herons and ducks appears on your right and you will know you are truly onto something special. This property has never been on the market before. 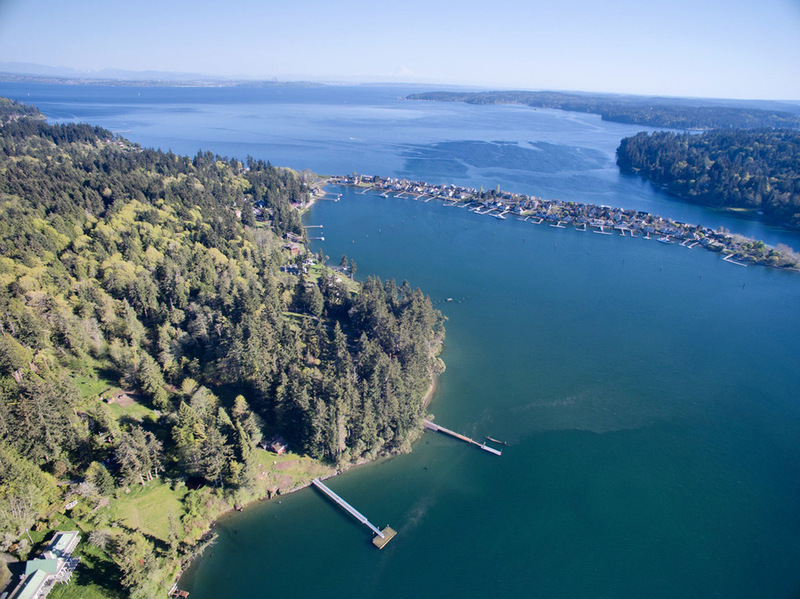 It was purchased in 1970 by William Williams as 6 acres of mostly undisturbed, pristine beauty and many of those special characteristics still remain to this day. The property is unbelievably private and so beautiful and special, it will take your breath away. 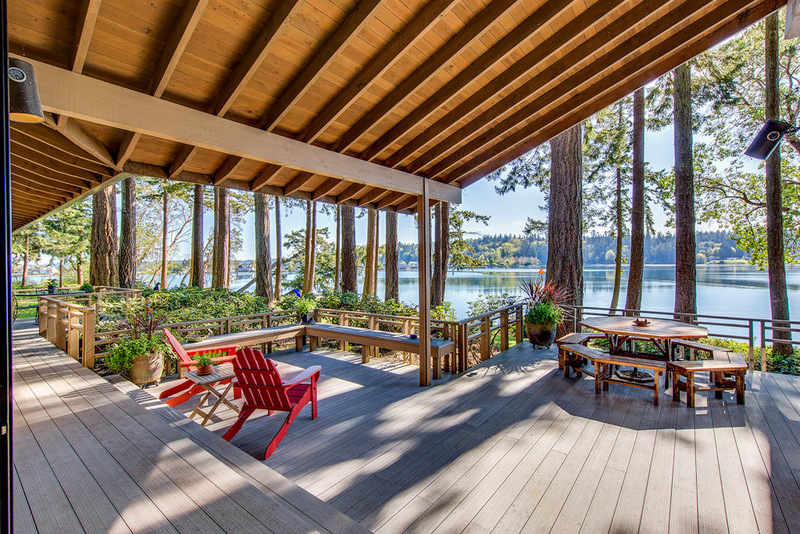 There is literally almost no other comparable waterfront property like this in Kitsap County. The property offers two houses. An original homestead affectionately named "The Cottage" serves as the property's guest house. 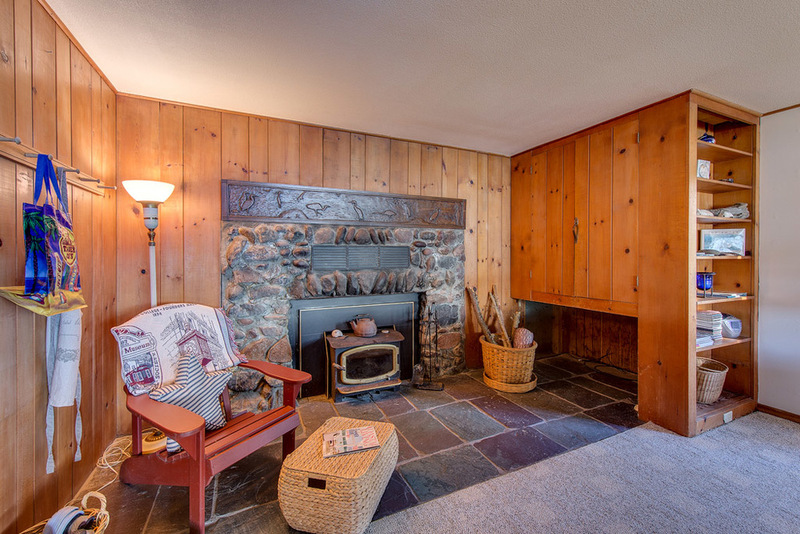 It was built in 1936 and has been lovingly remodeled and cared for by its current owners. The chimney is original and was hand built with stones from the property! 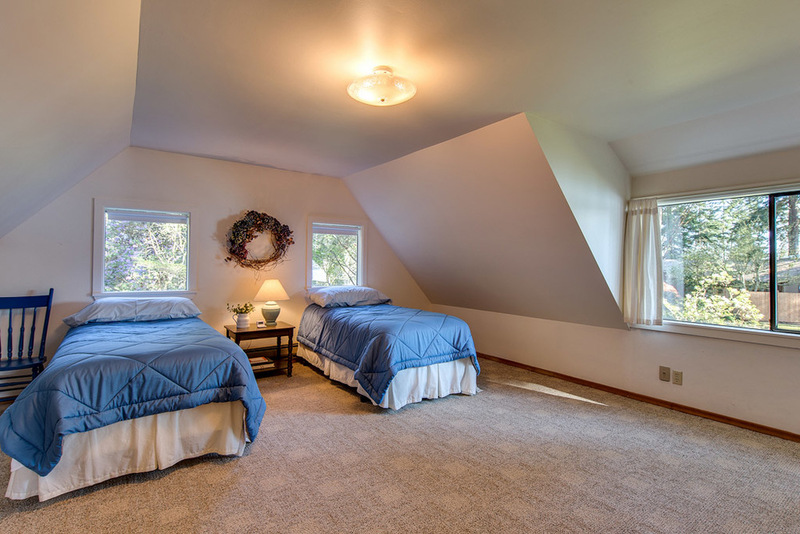 The house is almost 2000 square feet with many bedrooms for guests, friends and family. 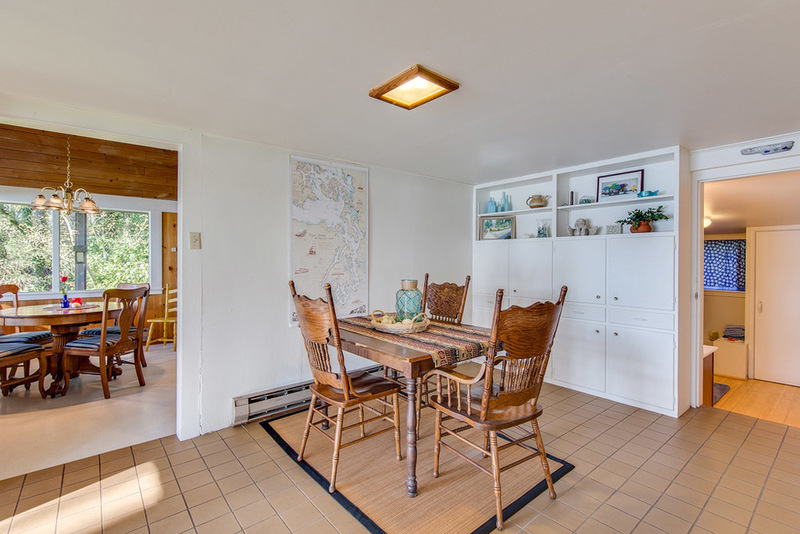 The main house is an original Hal Molstad classic NW contemporary built in 1978. Mr. Molstad is one of the most distinguished and well known architects of NW contemporary design in his field. He has designed custom residences for Bill Gates, Paul Allen, and many other famous people who desire the very best in quality, design and style in their own homes! 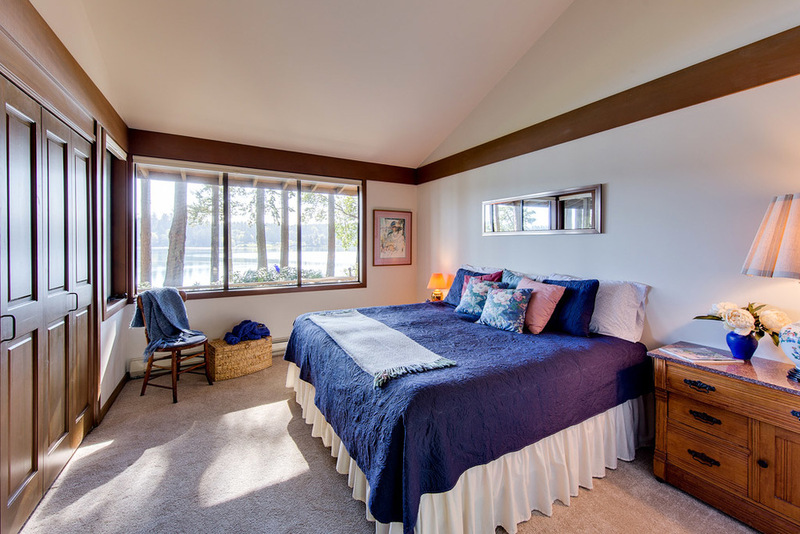 This house offers three bedrooms, including a luxurious master suite, and the large living areas are all dressed in clear cedar with soaring ceilings, lots of skylights, and big, bay windows to observe the old growth evergreens towering above the shimmering waters of Miller Bay. 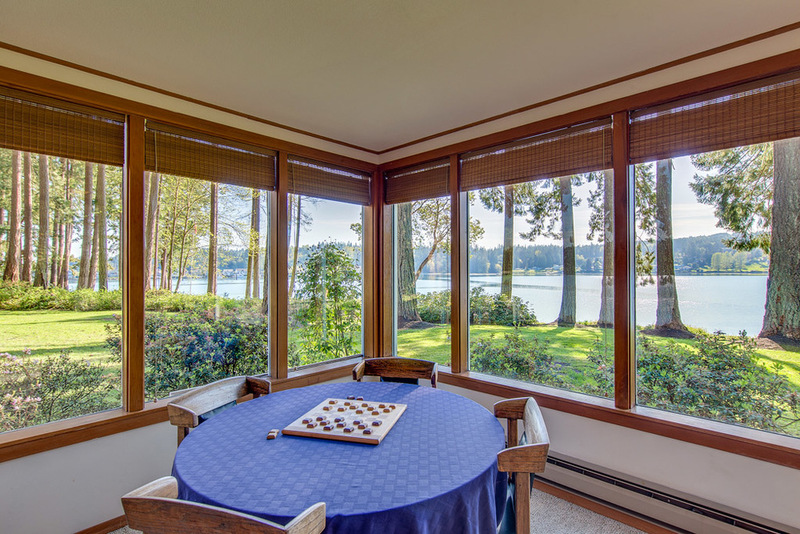 Every room in the house has gorgeous views of the water. 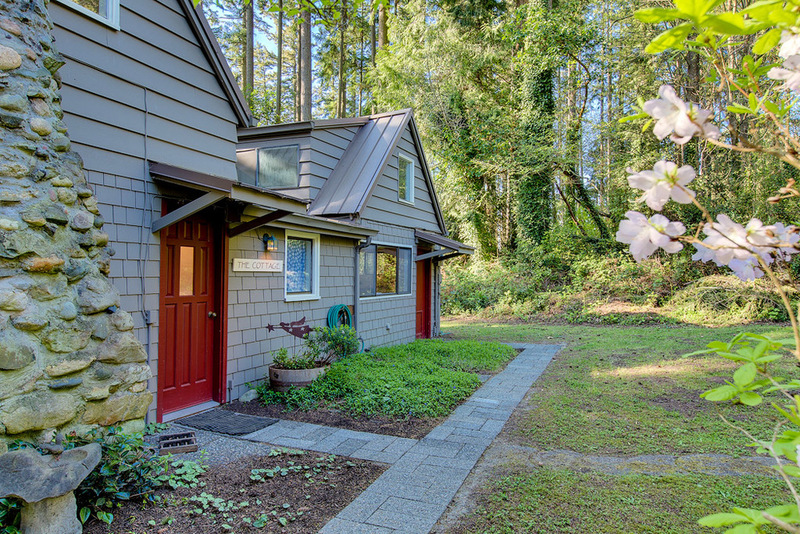 Almost 2500 total square feet of one level living. This is truly a once in a lifetime opportunity. The three parcels and 6.1 acres give the next owner lots of flexibility and the ability to "paint their own masterpiece" for current and future generations of family and friends to enjoy. Come see and experience this stunning, heirloom quality property today!